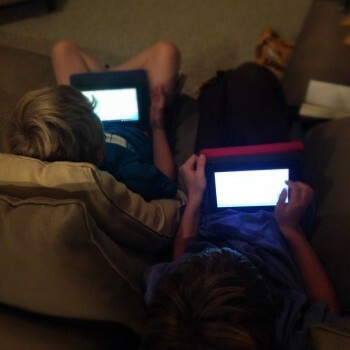 My young nephews, Trent (9) and Bryce (6) received tablets for Christmas. They’ve been nestled on the couch the very second the devices were fully charged. I’m hopeful the novelty will eventually wear off, at least a little, right? These two boys are very active. They play basketball and soccer. They play ‘tickle tackle’ outside in the yard for hours and look like they’re NFL-ready. Bryce will take your legs out from under you without fear. Trent will out run you and has cat-like agility. They burn calories at that enviable young boy rate.